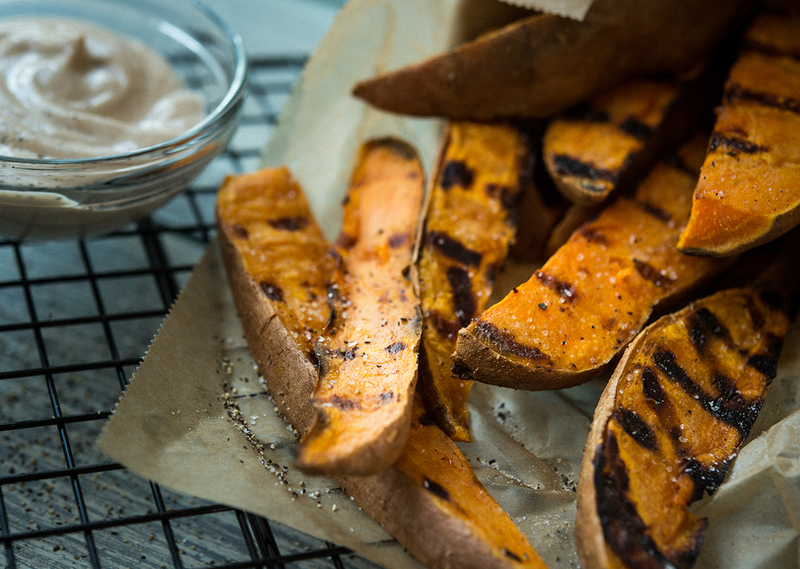 Try grilled instead of fried for a healthier take on this side dish. Serve with garlic aioli or ketchup. Preheat the Indoor/Outdoor Grill between setting 4 and 5. Place the potato wedges into a zip top bag and pour in the olive oil. Zip close and shake to coat the sweet potatoes in the oil. Open the zip top bag and sprinkle in the seasoning. Zip close and shake again to fully coat the sweet potatoes. 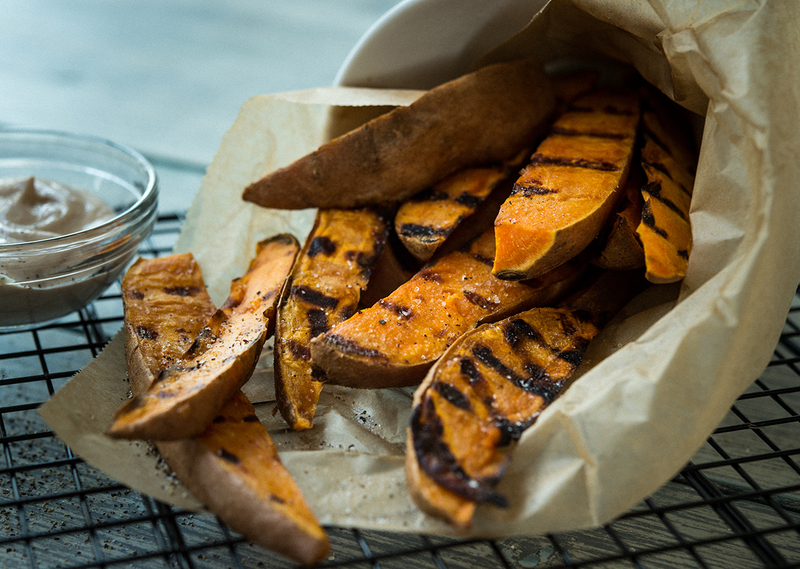 Place the seasoned sweet potato wedges on the preheated grill. Place the lid on the grill. Grill the potatoes for 7 minutes per side, or until crispy. Serve hot with a garlic aioli or ketchup.